Above all else, Symphonia Academica strives to make classical works accessible to as wide an audience as possible. Over the course of a number of rehearsals, our access-all-areas photographer captured the spirit of the work that's put in prior to a performance. 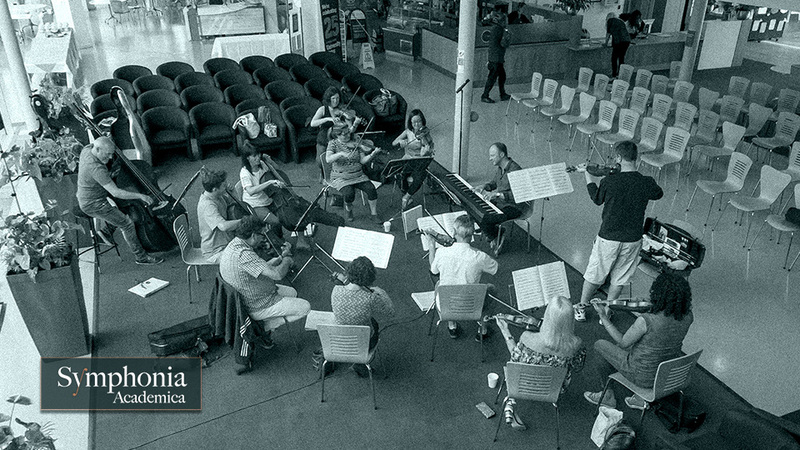 The ensemble's Artistic Director, Peter Bussereau, brings together professional players from some of London's top symphony orchestras and chamber groups to perform under the Symphonia Academica banner. 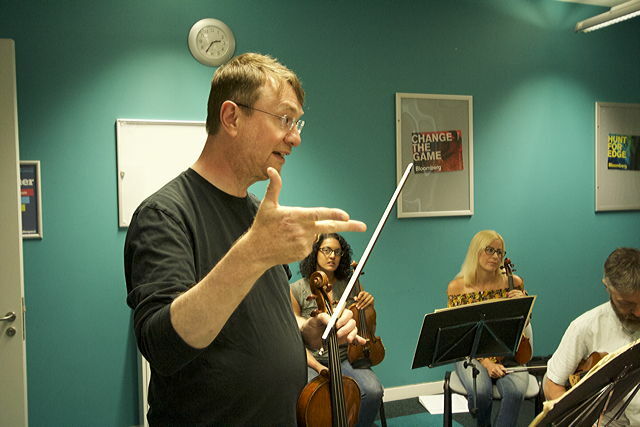 The size of the ensemble is extremely versatile and can scale to the requirements of the event organiser's budget and requirements so Peter makes best use of available rehearsal time as he works quickly to blend what is, effectively, three string quartets into one.